Can you see the problem? You can, can’t you – it’s just me, that’s been using this machine possibly for years with this issue that didn’t notice it! 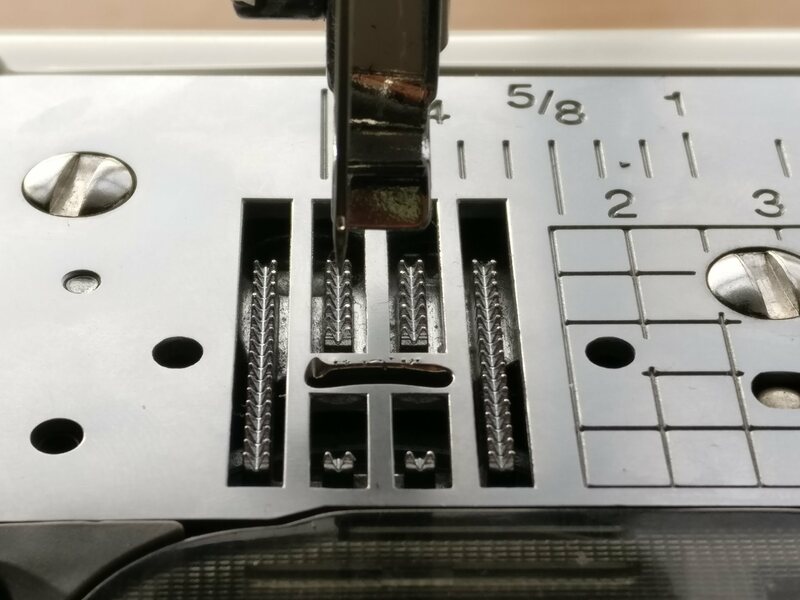 I was recently pampering my sewing machine by giving it its annual (ahem) deep clean, and I noticed that the needle has been hitting the needle plate occasionally – it’s not been hitting at the side (which would be due to say using a twin needle in the left hand needle position rather than the centre needle position) it’s actually that the needle seems to be too far back (or the needle plate and possibly bobbin case are too far forward). I have searched online for solutions to this problem, but so far to no avail. As such, I have contacted the manufacturer in the hope that this can be fixed. Unfortunately I found this issue on a Saturday evening, on a Bank holiday weekend; hence I haven’t been able to actually sew anything. So, you’re asking, what is there to write about on a sewing blog if I haven’t been able to sew? Well, I have spent two days tracing and cutting out patterns that I hope to make one day! 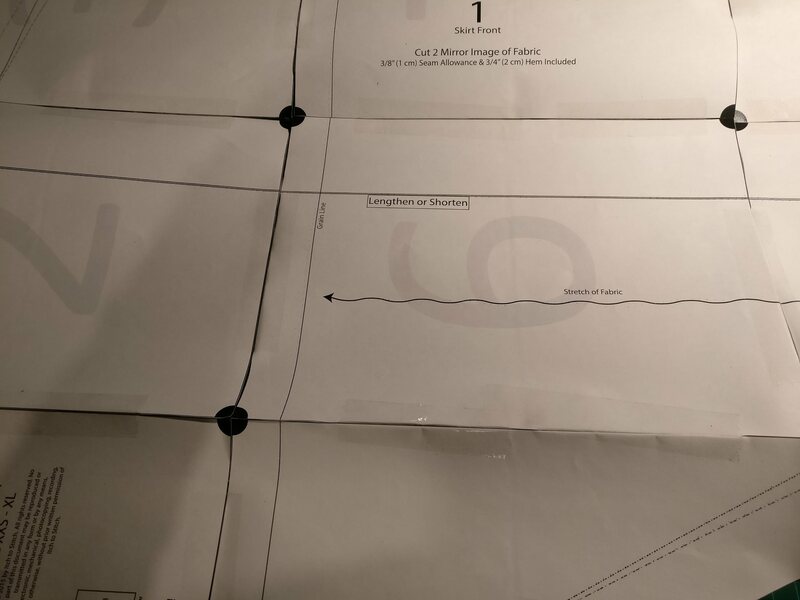 I haven’t actually touched any fabric, but I find tracing and cutting out paper pattern pieces from big sheets is the most boring part of sewing, and the thought of having to do those boring bits can put me off actually sewing a project. 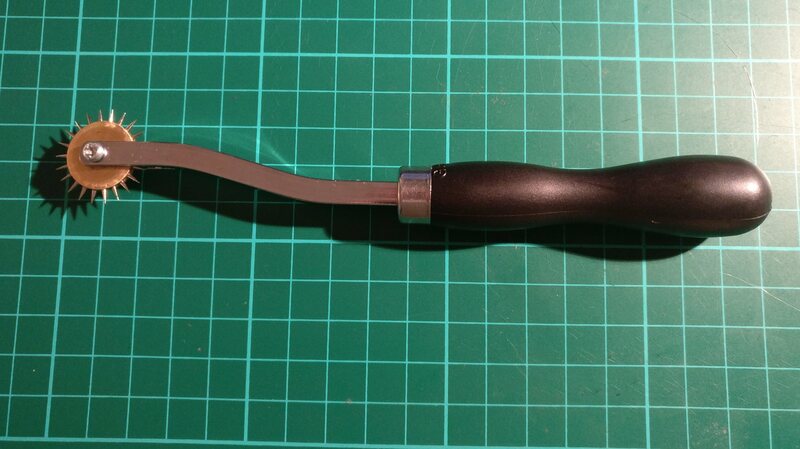 As such, if I feel too ill / tired / stressed to actually sew, I get the scissors (paper scissors, obviously!) 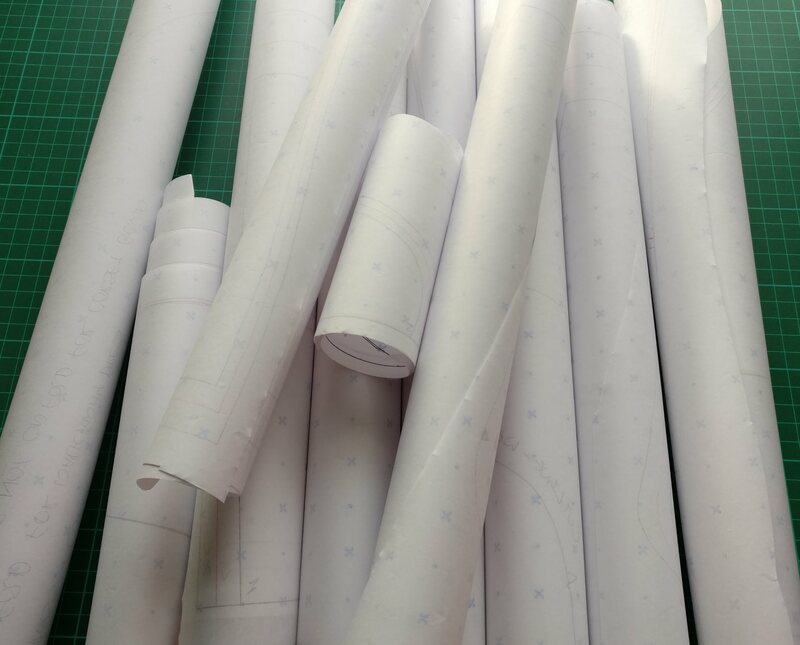 out and cut up some of the paper pattern pieces, or trace, print and stick together some of the pattern downloads that I have. Cutting, Sticking, Tracing…I Feel Like a 5-Year-Old! 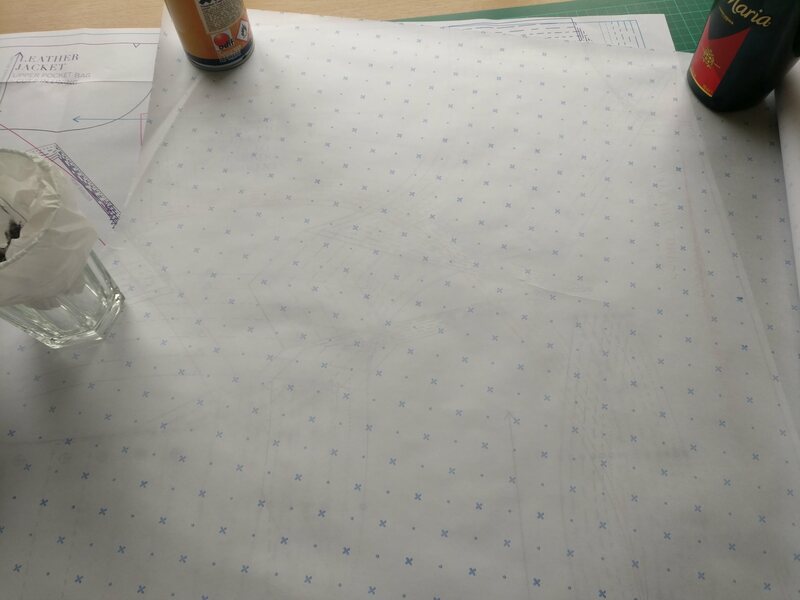 Tracing, with new dot & cross paper and a seasonal pattern weight! Since Christmas this has become slightly better, as I was lucky enough to receive a tracing wheel and some dot & cross pattern paper – I love both, although I can’t believe how sharp the tracing wheel is, and now I need to sew a cover for it to prevent injury every time I rifle around in my sewing drawer. 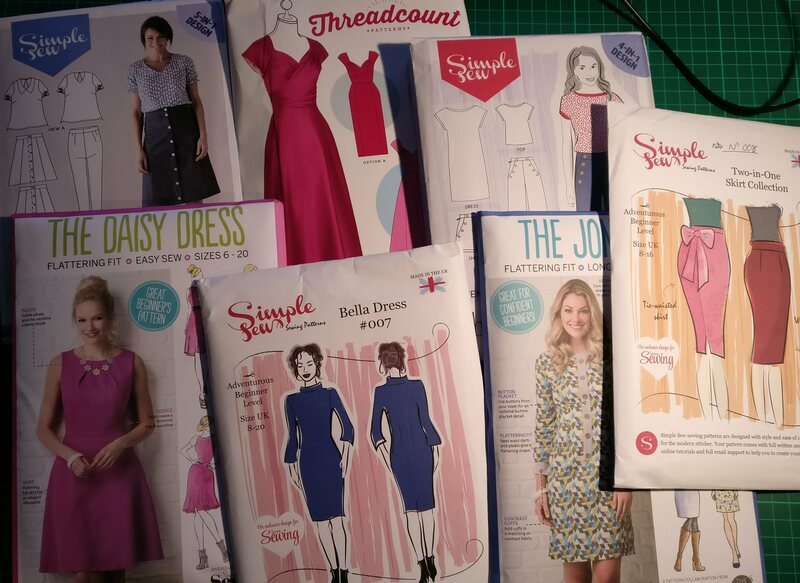 In the past couple of days I have traced 4 patterns (one PDF and three from books) and cut out pattern pieces from seven patterns bought as freebies in magazines. I get the feeling that for most sewists cutting out pattern pieces that you’re not actually using isn’t the done thing, but although this is the most tedious part of sewing for me, I do find that doing this periodically does mean that I have a good idea of the patterns I have in my stash, so I suppose there are some benefits to the enforced sewing free time! Does anyone actually like these preparation stages? Is it just me that wants to rush through them?